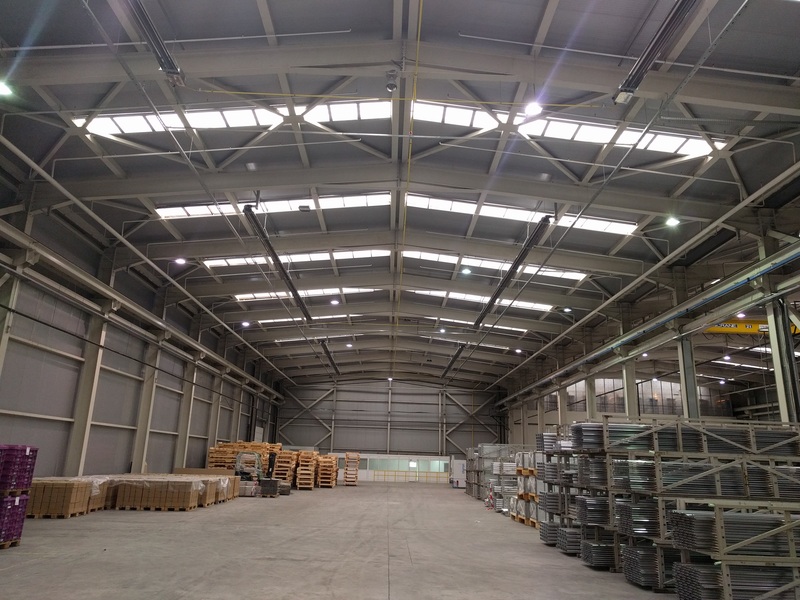 The biggest project for industrial Adiabatic cooling in southeastern Europe. - VEVEN Ldt. Индустриално отопление и охлаждане. 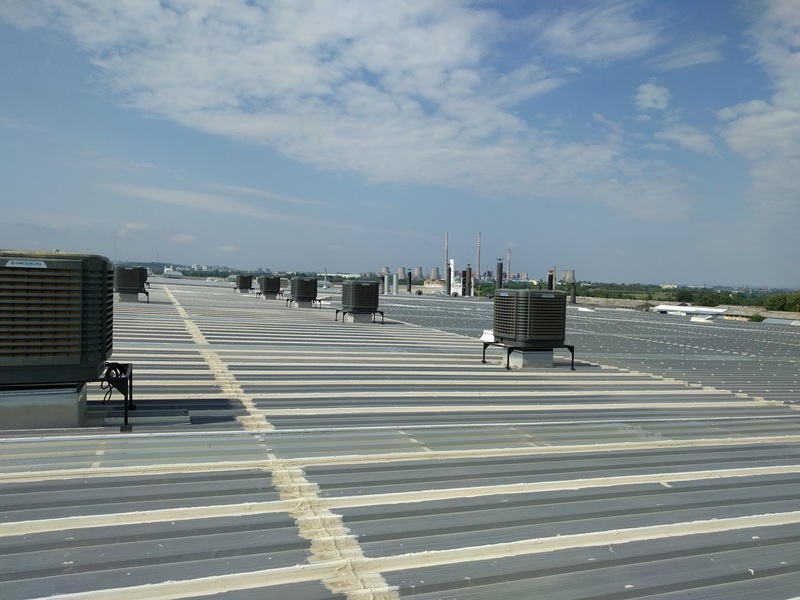 Home » Без категория » The biggest project for industrial Adiabatic cooling in southeastern Europe. Southeast Europe built by Veven Ltd. 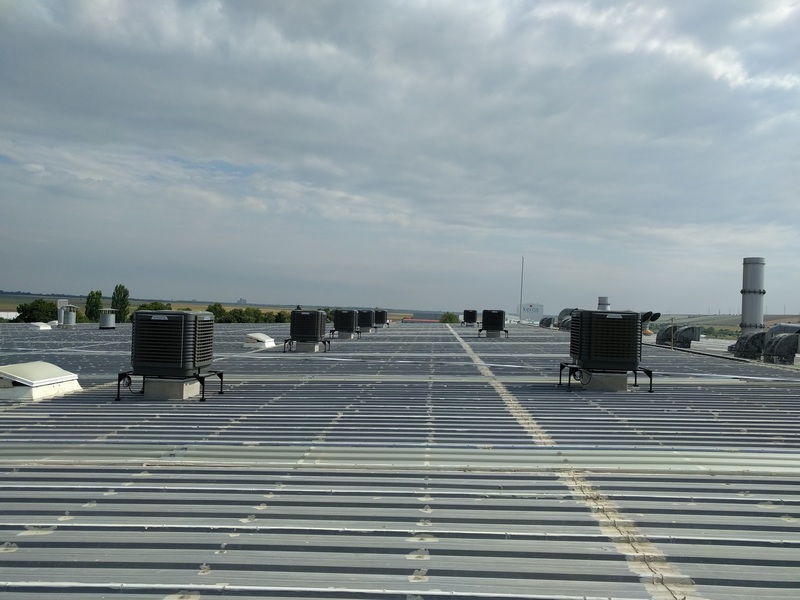 The site is with the impressive 15,000 m2, and for its implementation it was necessary 17 pcs., coolers with 35 kW cooling power each, air flow 30000m3/h. 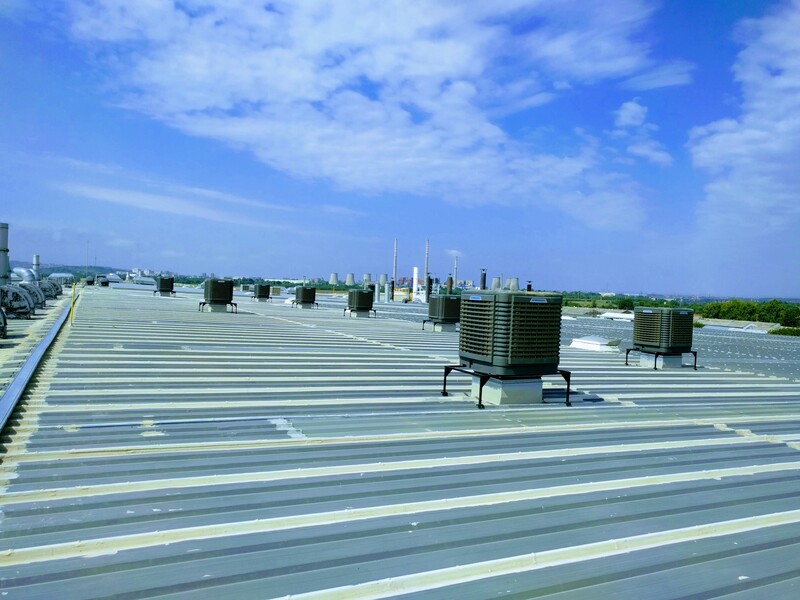 The Adiabatic coolers are a preferred product of our product range due to its high efficiency and economy. They use the simplest and at the same time the most technologically effective solutions. 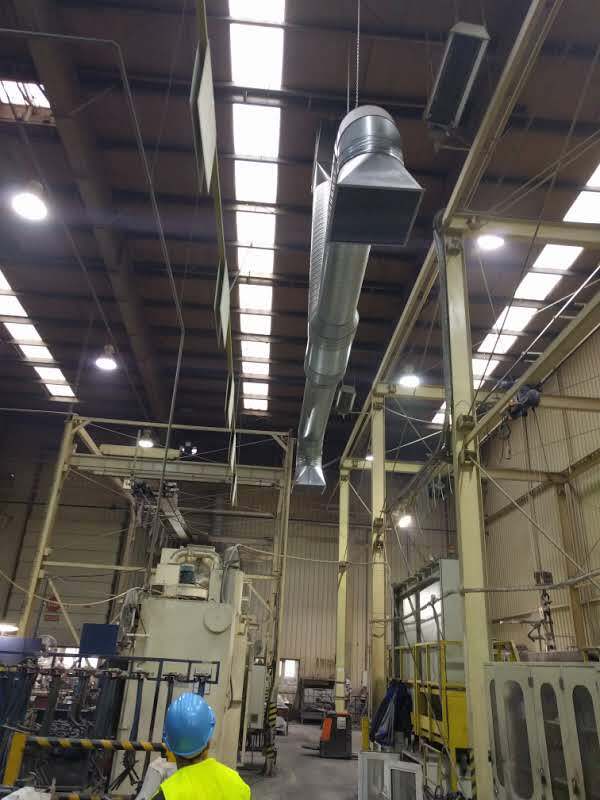 They significantly reduce operating costs for cooling and maintenance when used in industrial and commercial sites with large airflow. 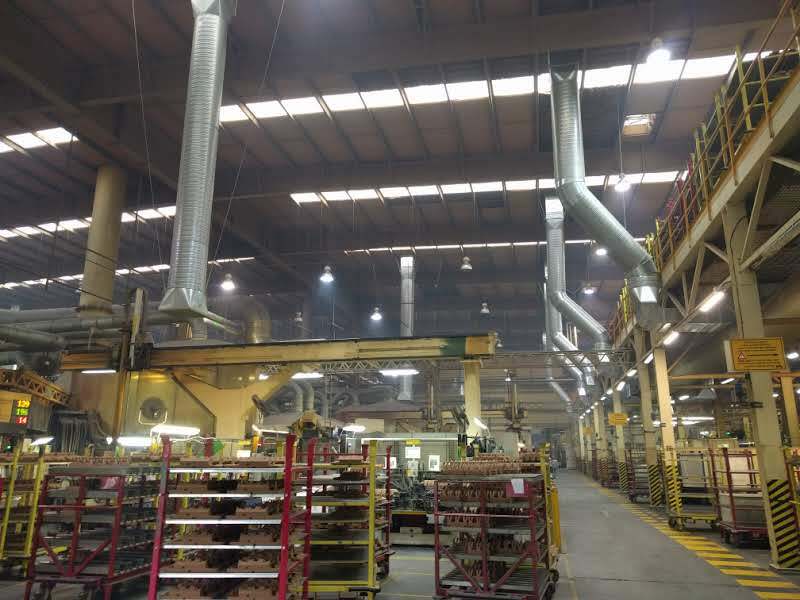 In modern manufacturing and commercial premises, as a rule we have a large amount of active sources of heat; machinery, heat treatment facilities, powerful lighting fixtures, welding devices, etc. 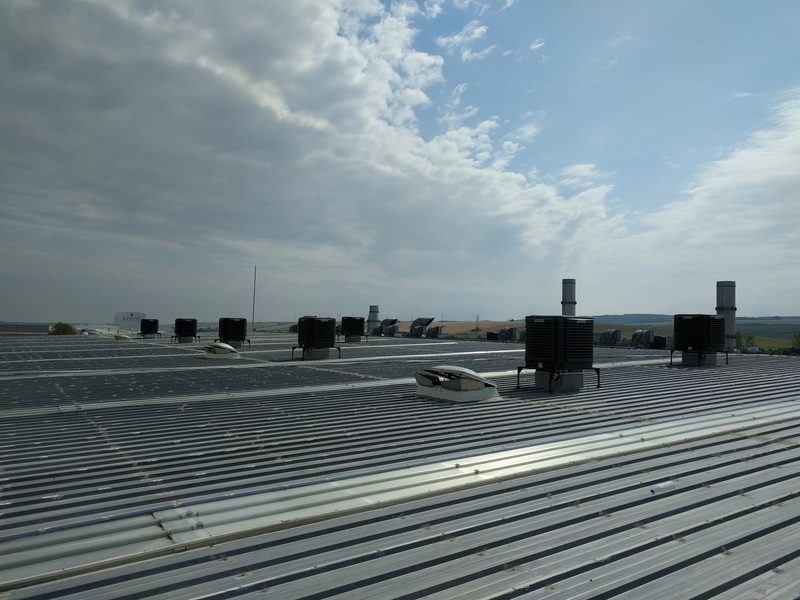 Very often, during the summer the temperatures in the buildings reach inadmissible levels and reduce labour productivity. 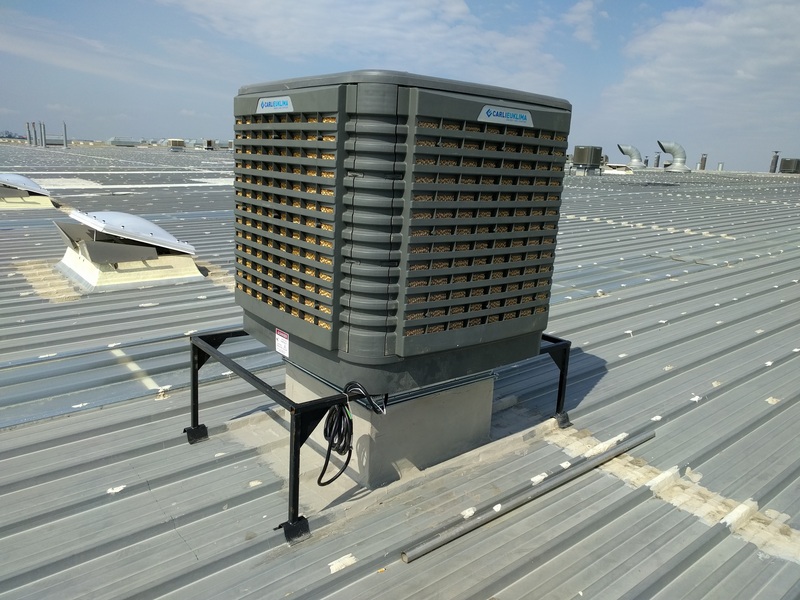 The Adiabatic cooler are autonomous facilities that cool the air, using the principle of water to absorb heat. Heat exchange occurs when air flow passes through the humidified filtering element. 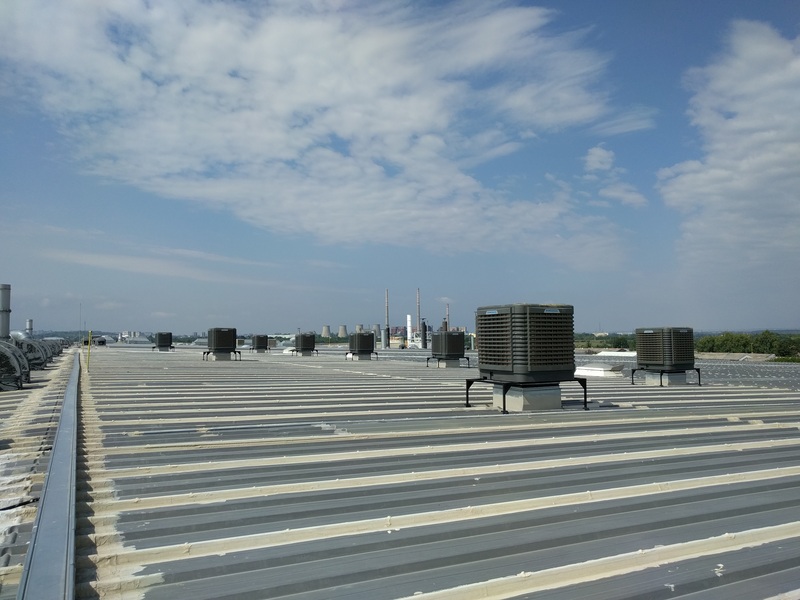 The Adiabatic coolersi are easily mounted on the roofs or walls of the premises. They use electricity only for the fans, and in order to work they have to get involved with the plumbing. Reduces energy consumption by up to 80% (only fans consume electricity). Reduces the value of the required equipment up to 70%. Ability to set individual modes of operation in different areas of the room. Low costs of operation and maintenance of equipment. Improve working conditions and protect the environment. 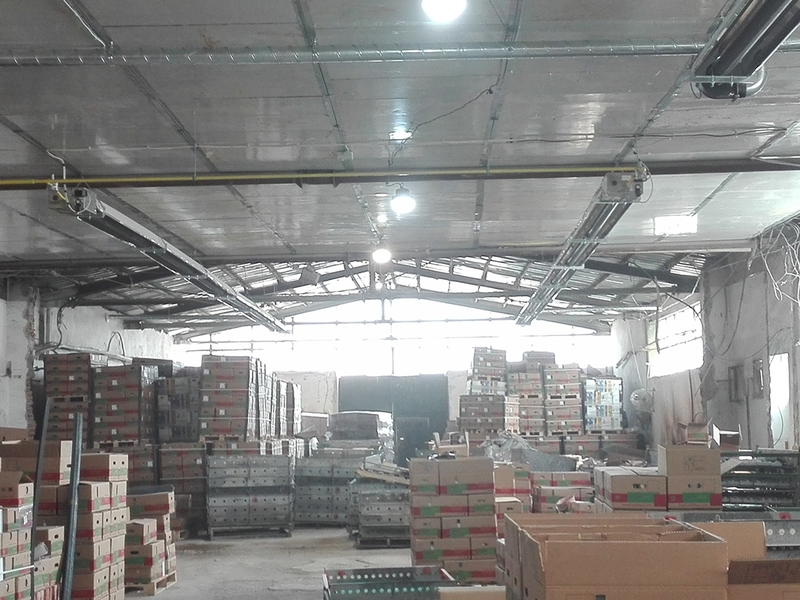 Previous post The advantages of the radiant heating from Veven Ltd.